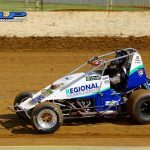 The NSW-based drivers aren’t the only interstaters making their way to Warrnambool’s Premier Speedway in Victoria, with 26 drivers from South Australia, Tasmania, Queensland, Western Australia and the Northern Territory throwing their hats in the ring for this weekend’s Australian Wingless Sprint Championship. While South Australia will make up 16 of these 26 interstate invaders, just under a handful of contenders from the Apple Isle will be crossing the Bass Strait to bring glory to their state, while Queensland, Western Australia and the Northern Territory will each be represented by a pair of drivers. It’s not unwarranted to see the South Australia contingent as the largest interstate threat, given that it will be bolstered by current and two-time Australian Champion Joel Chadwick, who is this weekend shooting for a hat trick of championship crowns. It’s been a stellar 2018-19 season so far for Chadwick, collecting numerous feature-race wins in the lead-up to his Australian Championship defence, and having proved not once, but twice in the past that he has the experience and composure to withstand the immense pressure of an event such as this, he’s going to be formidable contender indeed. A two-time Australian Championship placegetter, Jarman Dalitz managed to clinch third place in both the 2014 and 2015 events. He will no doubt be attempting to go two better this time around aboard the Tamika Pitcher-owned SA # 96 car, while Mitchell Broome, who is no stranger to racing throughout Victoria, is expected to perform strongly. One of many sets of siblings to participate in the event, Beasley brothers, Travis and Brad, will be hoping for strength in numbers as they go up against other contenders from their home state, such as Anthony Tapley, who is piloting Andrew May’s SA # 47 car, Jake Ashworth, Michael Spoljaric, Casey Van der Stelt, Jay Brown and Brad Evans. 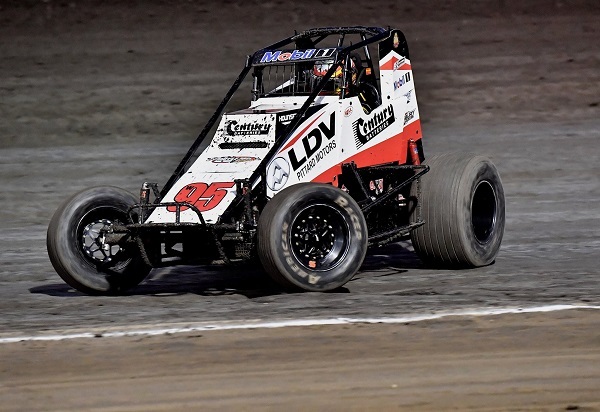 Regular Speedcar racer Brett Ireland will be making a cameo return to the class, with Kirby Hillyer, Michael Ross, Darryl Sloan and Mick Barker rounding out the South Australia nominations. Without a doubt, it will be current Tasmanian Luke Redpath who will be leading the charge for the Tasmanians. Coming close to victory in the 2017 running of the event which was held on home soil at Carrick Speedway, ultimately placing second, Redpath has unfinished business when it comes to Australian Championships; a fact he will be hoping to rectify this weekend. Similarly to Redpath, 2016 runner-up Brad Whitchurch is expected to be amongst the action in the Australian Championship-deciding feature race. Redpath and Whitchurch will also be joined by Bradley Walkley and Josh Padman, both of whom are competitive throughout their home state. Even though he’ll be piloting the Tasmanian registered # 24 car owned by Tim McKinnell, two-time Queensland Champion Scott Thomsen will make up half of the Sunshine State’s field, with talented youngster Cody O’Connell also make the trip south to Victoria in what is his maiden Australian Championship attempt. Pittard Racing teammates Chad Pittard and Ash Hounsfield are making the 35-hour trek across the Nullarbor from Western Australia. 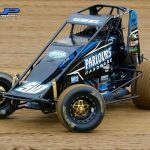 Being two of the state’s leading Wingless Sprint drivers, they’ll certainly be in with a chance to challenge for Australian Championship glory, while Tyson Newcombe and Richard Hawkins will be flying the flag for the Northern Territory. To view the full Australian Championship nominations list, visit the following link: www.awsr.com.au/event/702. Getting underway with scrutineering, practice and the calcutta this Thursday, the last of the scrutineering will be completed on the morning of this Friday, before drivers contest two rounds of heat races on Friday night, with the top-40 drivers in the point standings going on to complete two odds and evens preliminary feature races. Following the opening night of competition, the top 96 cars in points, excluding the eight drivers who have already qualified for the feature race, will return to the track on Saturday night to contest a final round of heat races. The top 8 in points will then qualify directly into the feature race and will compete in the Mid-Pack B-Scramble to determine their starting positions. The next 32 drivers in the point standings will qualify directly into two B mains, while other competitors will contest one of four non-qualifier events to determined qualifications into the D main and two C mains, with the top four in each main progressing through to the back of the next main.